Our solution significantly reduces the time necessary to communicate via SharePoint. 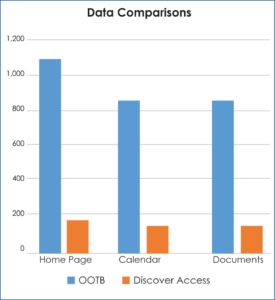 Pages load faster, response time is shorter which in the field, can mean the difference between success and failure. Native SharePoint is weighted down with cosmetic features that cause increased latency, especially in low bandwidth environments. 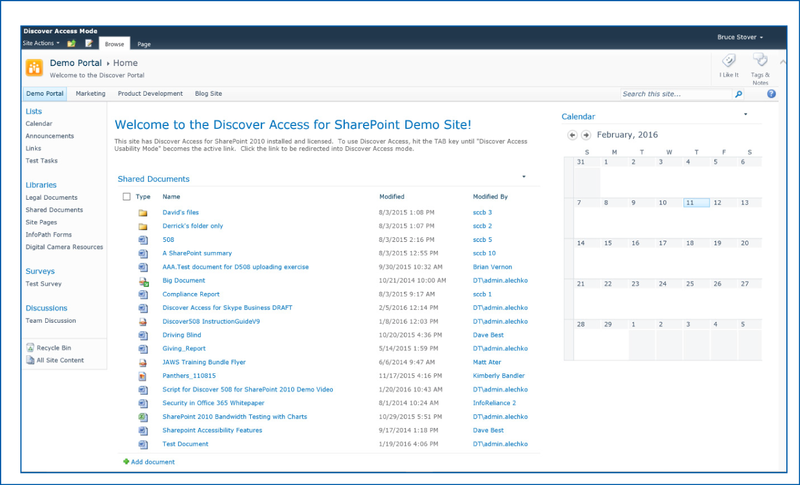 Discover Access for SharePoint provides simpler navigation and strips out all the unnecessary rich content and design features without affecting functionality. As a result, our software facilitates faster upload, download and response times. In fact, this cutting edge technology will allow you to transmit and receive your content up to 7X FASTER. 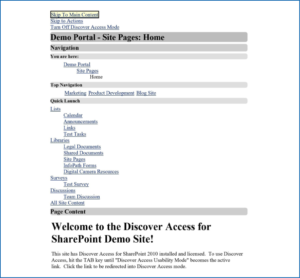 The Discover Technologies Low Bandwidth solution significantly reduces the time necessary to communicate via SharePoint. Pages load faster, response time is shorter (see below) which in the field, can mean the difference between success and failure. Provides a streamlined interface with less clutter, simpler navigation, enabling simplified use on touch screens. The entire corpus of data in Figure A is shown in Figure B in a greatly simplified manner due to Discover Access for SharePoint’s unique navigation architecture. The difference is easy to see and the speed differential is even more transparent in a low bandwidth environment. 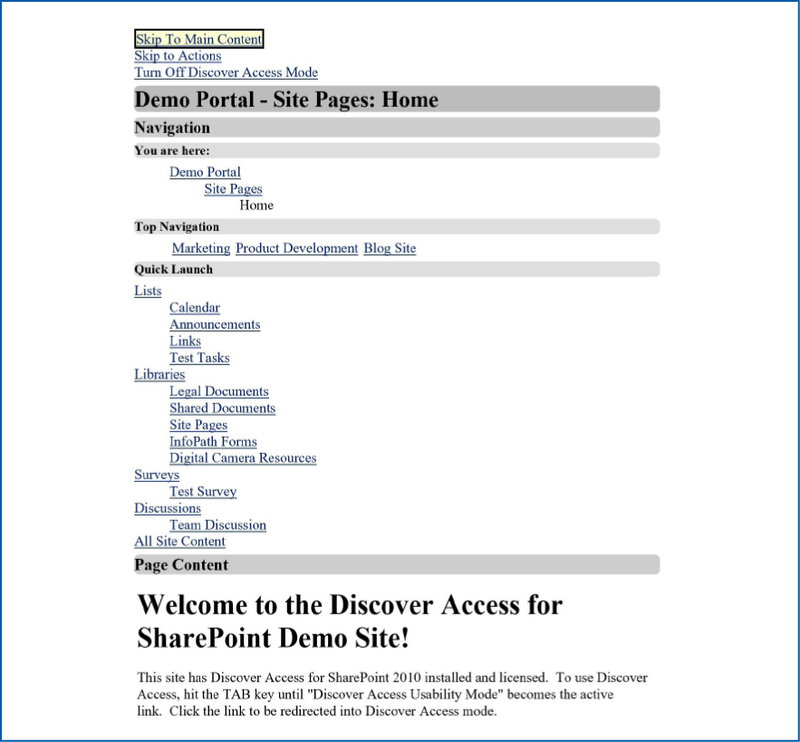 As you can see in Figure 3, the bandwidth requirements are greatly reduced by simply installing Discover Access for SharePoint in your environment. There are no massive configurations or protracted installation times to worry about. Also, your SharePoint environment will now be 508 and WCAG 2.0 AA compliant. 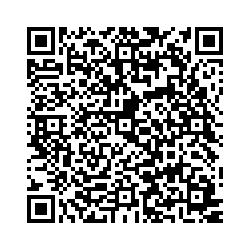 Would you like to view our Product collateral? 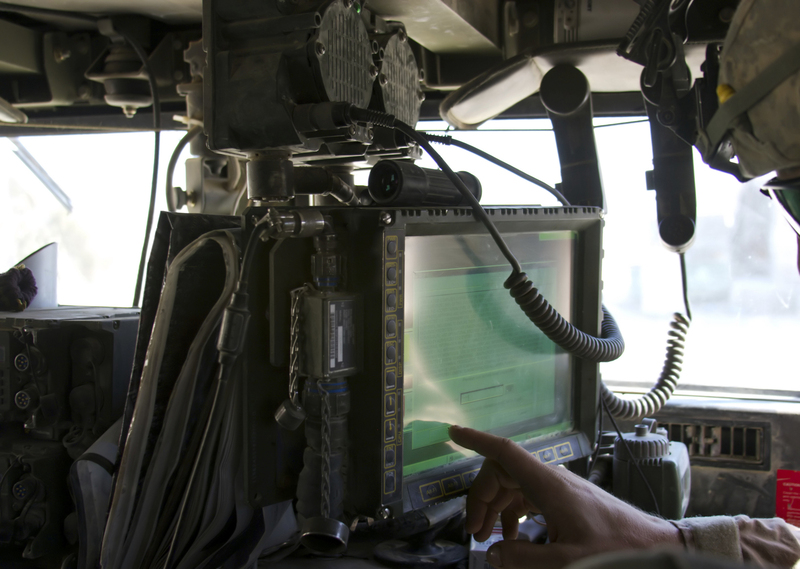 Discover Technologies announced today it received a Certificate of Networthiness (CoN 201620413) from the U.S. Army Network Enterprise Technology Command (NETCOM) for its Discover Access for SharePoint software. 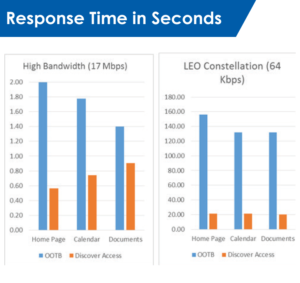 Discover Access addresses the problem of significant latency when delivering SharePoint data in low bandwidth environments. 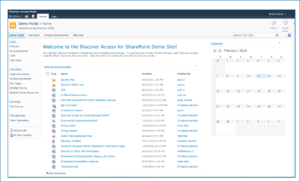 The Discover Access solution delivers a fully functional, Section 508 and WCAG 2.0 AA compliant SharePoint version up to 7 times faster than native SharePoint. Over a satellite network, Discover Access cuts the load time from 2.6 minutes to 25 seconds. Read More..